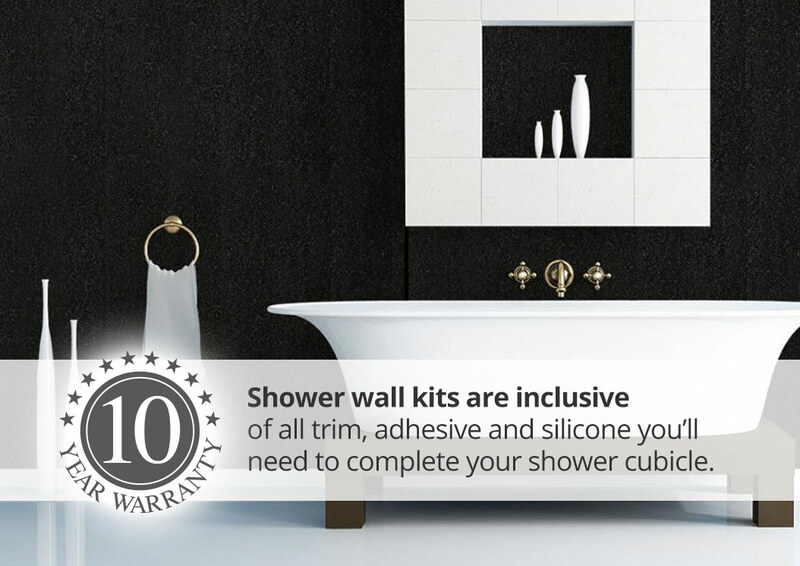 Aquabord Laminate Shower Kits contain everything you need to finish a 2 wall or 3 wall shower cubicle up to 1200mm wide, including panels, trim, corners, adhesive and sealant. 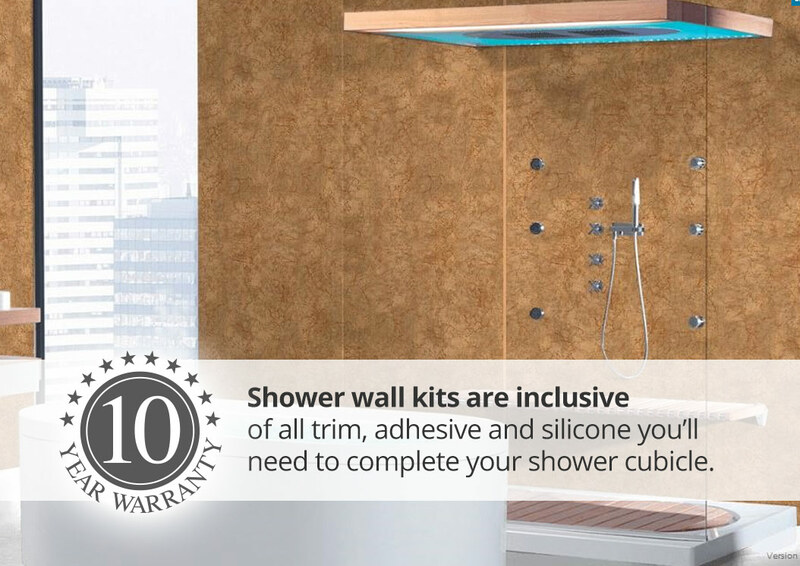 The panels in Aquabord Laminate shower kits have a luxury feel and very high resistance to scratches. Light in weight thanks to a foam core, they offer a durable, low-maintenance alternative to wall tiles in showers and bathrooms. 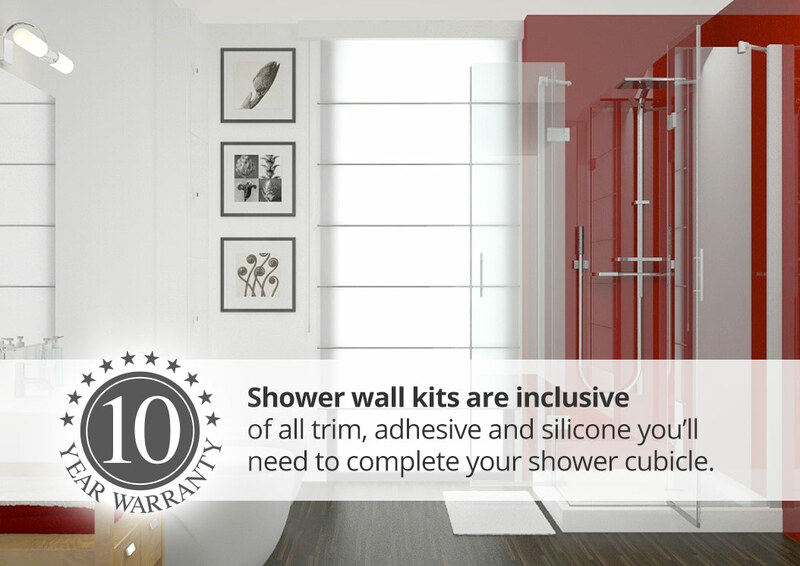 Available in 12 different designs including marble, galaxy, pebble and white gloss, the panels are very easy to clean - simply wipe with a damp cloth. Unlike tiles there is no possibility of chips, cracks or dirty, mouldy grout. 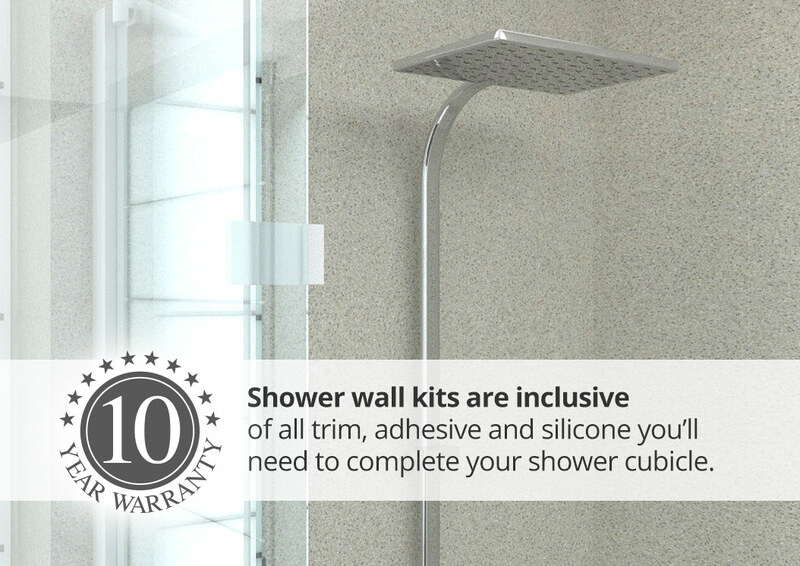 Aquabord Shower Kits are easy to fit by 2 people with medium DIY skills.